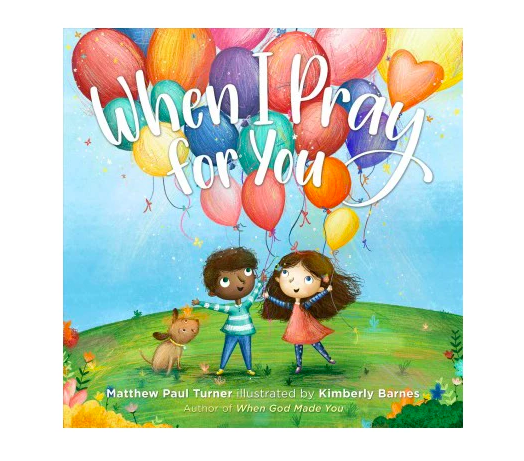 Pre-order the new children’s book When I Pray for You, by Matthew Paul Turner at Target.com for only $8.73 and you can get When God Made Light for FREE. Shipping is free on the freebie too! To score this additional freebie that comes directly from the publisher you will need to fill out this form HERE. Make sure you have your order number handy, because you will need it for the form. Keep in mind your FREE book will come directly from the publisher, NOT from Target.com. This special offer is valid through February 18th. Your free book will arrive approximately within 5 weeks. This is such an amazing deal! That is two hardcover books for only $8.73!! Plus, the new book looks so sweet. We own the other two books by Matthew Paul Turner and they are delightful. I highly recommend you take advantage of this deal. Books are perfect to put inside Easter baskets!